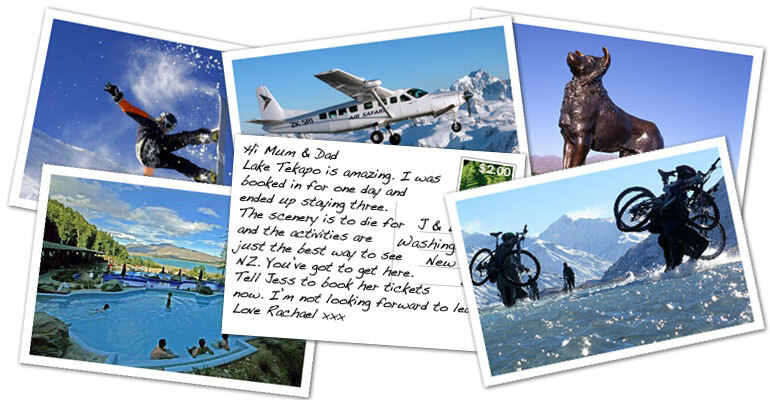 Tekapo Tourism - The online tourist and visitor guide to Lake Tekapo and the Mackenzie. Accommodation, activities and information. Tekapo Tourism is delighted to be able to bring you this online tourist and visitor guide to Lake Tekapo and the Mackenzie Country. 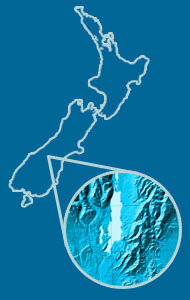 This website contains over 100 pages of Tekapo related information. Visit our Accommodation pages to view a list of all the various accommodation providers in the area. Our Activities pages provide you with one of the greatest arrays of activities in the Mackenzie area. Our information pages cover the local hydro power scheme, how one local farmer's dream for a boat to navigate shallow rivers resulted in the modern jet boat. Our Farming page coveres details of an annual Autumn on Glenmore Station. 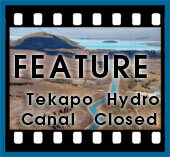 Use our interactive webcam, located 300 metres above Lake Tekapo to explore highlights of the Tekapo area and to investigate the weather, water or snow conditions. Lake Tekapo lies in the heart of the Mackenzie Country, in New Zealand's central South Island. Christchurch International airport is only a 3 hour drive away and New Zealand's most popular tourist route, State Highway 8, passes through Lake Tekapo and provides exquisite views of New Zealand as it should be viewed, 'naturally'. Mt Cook is only a short distance from Lake Tekapo and the cluster of New Zealand's highest peaks border the lake and provide a beautiful backdrop to some of the best views in the world.